Based on studies, an EMT can be expected to stay on his paramedic job for an average of eight years and will reach a point in his life that he will contemplate on a nursing job as alternative career. This is not something paramedics find hard to fulfill though because of their extensive experience. They can take the ASN degree online leading to a BS Nursing degree bridge program, all the way to a full-fledge career as a registered nurse (RN). There are also the BS in Health and Management courses to become health care supervisors, managers and health care systems developers. 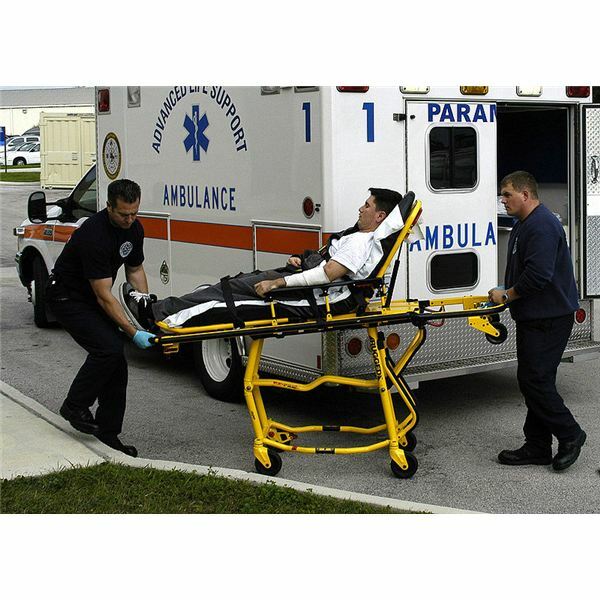 EMTs are trained professionals who can work swiftly and decisively in life-threatening situations. They perform highly advanced emergency actions right on the spot to increase a wounded person’s chances for survival. However, paramedics face long hours of non-stop unpredictable activities every day. They are also exposed to dangers and risks and all these can lead to burnout. Why Do EMTS Choose an Alternative Option? The Paramedic to Registered Nurse bridge program known as Paramedic to Registered Nurse Associate Degree is where an emergency medical technician (EMT) or a paramedic can easily make a nursing career transition within the shortest time possible of 18 months. Thereafter, he can take the NCLEX-RN and complete internship / externship requirements. We will review one such online course on page two of this article. Once an EMT / paramedic passes the licensure exams, he will find an abundance of job opportunities as a Registered Nurse. In no time at all, the current hourly salary rate as an EMT, ranging from about $11.00-$16.00 would entitle him to earn roughly $ 22.00- $ 31.00 per hour as an RN. He could live at a less harried pace and enjoy less grueling schedules. In case he wants to advance his career further, he can still pursue higher learning via another bridge program, the RN to Masters in Science Degree (MSN). This bridge program leads to a new career opportunity of becoming a Nurse Practitioner (NP). Up to date licensure status as an EMT; licensed paramedics are required to take continuing related courses in order to renew their licenses. The validity of a Paramedic’s license varies from state to state which can be up to one year or even up to 5 years. Completion of general education requirements like English, math, science, including labs and other support courses with an average score of “C" or even higher. A copy of the American College Test (ACT) Scores. A copy of high school transcript of records or a copy of its equivalency. Clearance from criminal background checks and federal background checks. The latter must include processed fingerprints. Where to Get Online ASN Degree? You can take your online EMT to nursing associate degree with Rue Education via distance learning using Rue Total Learning Systems. Rue Education does not grant the degree but learners who will complete their Associate of Science in Nursing Degrees (ASN) will earn credits to be awarded by Excelsior College, a recognized online institution for higher learning. The student must first apply for an Academic Assessment to determine the specific learning modules he will need to complete for the ASN Degree. The fee for the Academic Assessment is $45. Rue Education learners are supported by a team of online tutors, academic advisors, house nurse educators and experts in the subject matter while the students complete their ASN Degree without the need to attend classes but instead work independently. As an online program, the student can log in anytime at his or her convenience, although Rue instructors recommend logging in at least four times a week or for shorter periods daily. A student will not be given grades but will be rated according to his preparedness to take the Dantes, Excelsior College or CLEP standardized tests. Computer technology requirement is DSL Internet connection. While dial-up can be used, it is not recommended. Online tutors are available at certain online office hours that students can reach via email, online discussion threads or chat messages. Students will be supplemented with workbooks, study guides, quick reference guides, customized textbooks and other textbooks needed to complete the ASN Degree course. A Clinical Performance in Nursing Examination (CPNE) Preparation Package will be used by the student to prepare for the skills needed to pass the CPNE tests. It includes a DVD, practical guides, skills kit that will serve as a simulated lab: artificial wounds, dressing wounds, intravenous supplies, medical supplies and a resource guide for simulated lab calculations. Online learning costs will depend on the subjects that a student needs to complete the Associate of Science in Nursing Degree. Former Rue students, who have realized their dreams of transitioning from EMT to nursing, have found the Associate of Science in Nursing Degrees from Excelsior College via the Rue Distance Learning System definitely workable. The online course was successfully completed by an estimated 126,000 students coming from different U.S. states and numerous foreign countries. If you are considering advancing your career from an EMT to a higher degree level, then you need to know the requirements for a degree. Here is a clear guide on how to get started as a new health care professional.